I suffer from insomnia a lot, so I’m up all night sometimes.. 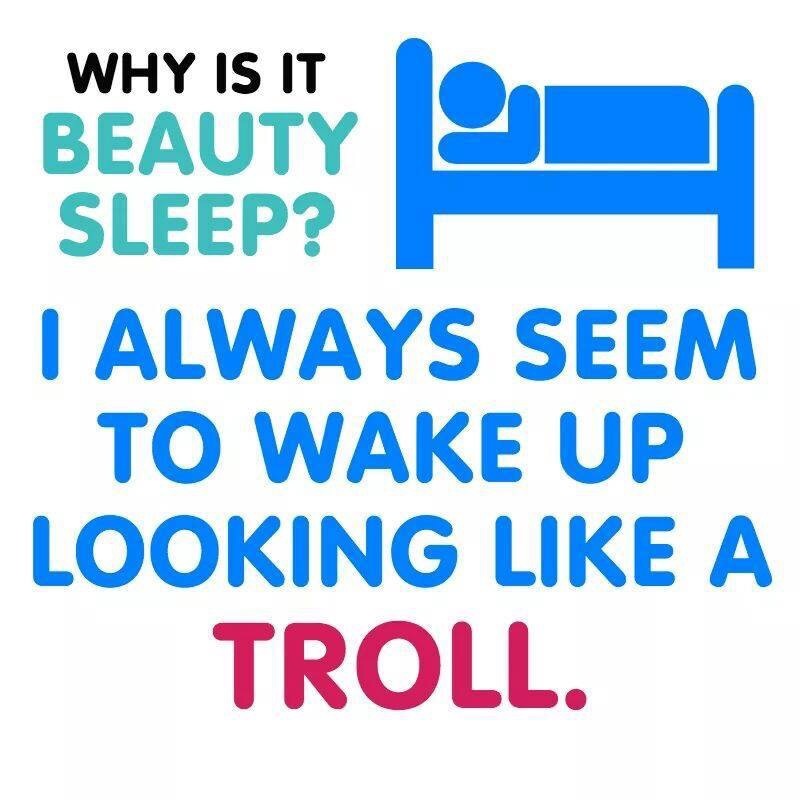 When I wake up in the morning, no matter if I have had insomnia or had a great nights sleep, I always seem to look like one of those small trolls with the bright colored hair! My hair just has a mind of its own! I swear, once I ran around thinking I had a good hair day, but I forgot to check my hair in the back… It was a disaster, I looked like a hobo! A no go to a day out around lots of people shopping that’s for sure.. I only saw the disaster when I came home, how great was that? .. Not that great at all. Have you guys ever had a really bad hair day? My worst one was when a hairdresser accidentally colored my hair green…. Yes GREEN! I went from a blond (The summer had made it that way) to a brunette, which I normally am, and it got to be green.. Brown with a sickly green tint to it, I felt like hiding! I also had extensions, the ones you heat up and they stick around pieces of your own hair.. Never do that girls…. I had BALD spots some places, cause my hair couldn’t carry the weight of the extension and it broke! But damn it looked so good while it lasted, my hair is not amazingly thick, and that’s one thing I would really love! Long thick hair.. – Would be amazing.